His Holiness’s life has always revolved around church since his youth; he wished to live the life of monasticism. He entered the Monastery of St. Pishoy in Wadi Elnatroun on August 20th, 1986 and remained a brother for two years. He was ordained a monk on July 31, 1988 and after a year he was ordained a priest on December 23, 1989. Two months after, H.H. Pope Tawadros started serving with H.E. Metropolitan Pakhomius of Beheira on February 15th, 1990. He was ordained a bishop on June 15th, 1997 by H.H. the Late Pope Shenouda III as a General Bishop assisting H.E. Metropolitan Pakhomius. 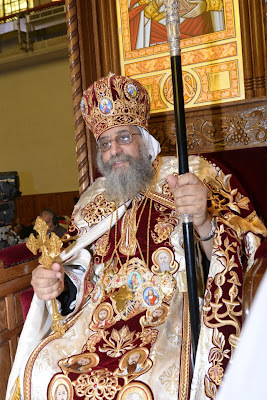 His Holiness focused on childhood whether it was in the country-wide children’s festival as well when he was in charge of the children’s committee in the Holy Synod. Before assuming the papacy, H.H. wrote twelve books.